Cut each avocado lengthwise in half around seed. Twist halves in opposite directions to separate. Slip spoon under seed to remove and discard. With spoon, scoop out avocado flesh and place in medium serving bowl. Add lemon juice, and salt; with fork, mash until mixture is almost smooth. Stir in garlic, cilantro, jalapeno and hot sauce; fold in tomato. If not serving right away, cover and refrigerate up to 2 hours. Just before serving, sprinkle guacamole with red onion, if desired. 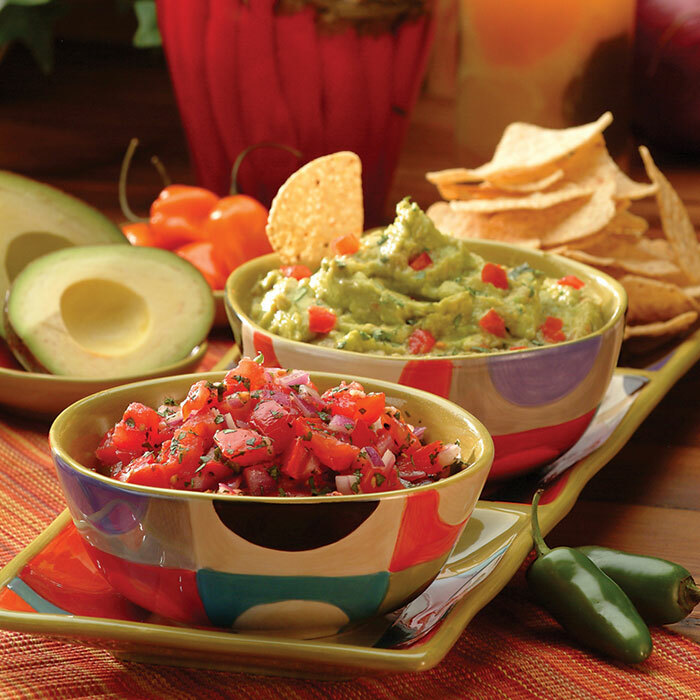 Serve guacamole with tortilla chips.